Hairy cell leukemia (abbreviated as HCL) is a rare cancer of the blood and bone marrow. In this form of cancer, certain types of white blood cells, called B-lymphocyte cells, are affected. Hairy cell leukemia is characterized by the uninhibited growth of these B-lymphocytes and low numbers of other normal blood cells. The abnormal cells have fine outgrowths on their surface giving them a hairy look when viewed with a microscope, which is the reason for the name of the condition. HCL is relatively uncommon and makes up just 2% of all leukemia (cancer of the blood) cases. Less than 1000 new cases of hairy cell leukemia are diagnosed annually in the United States. However, there is an extremely low incidence of hairy cell leukemia in Japan and in people of African descent. Hairy cell leukemia is more common in males, who are 4 to 5 times more likely to develop this cancer. It mostly affects middle-aged men in their 50s. What happens in hairy cell leukemia? The abnormal lymphocyte in hairy cell leukemia is a specific clone or type of B-cells. The abnormal cells infiltrate the reticuloendothelial system, which is made up of most phagocytic cells. Phagocytic cells are certain types of white blood cells, which protect the body by getting rid of harmful foreign particles, bacteria, and waste material. The abnormal B lymphocytes interfere with bone marrow function, which may lead to bone marrow failure or decreased number of red blood cells, white blood cells, and platelets. Therefore the problem lies with the abnormal blood cells but impacts on the bone marrow, which is the source of all new blood cells. Hairy cells accumulate in the bone marrow, liver, and spleen. Due to infiltration of the hairy B cells, the liver and spleen enlarge abnormally. In hairy cell leukemia, the levels of a protein called cyclin D1 increase, which may contribute to the development of this cancer. The cause of hairy cell leukemia is not clear. In this type of leukemia, a specific clone or type of B cells become cancerous. Normally the bone marrow has large stores of blood stem cells, which mature to form different types of blood cells over time. In hairy cell leukemia, due to some unknown reason, too many of the stem cells mature into abnormal lymphocytes. These abnormal leukemia cells affect the formation of healthy white blood cells, red blood cells, and platelets. Lab tests: Hairy cells have fine, hair-like projections on their surfaces, which can be seen under the microscope. Blood samples show anemia, decreased number of RBCs, WBCs, and platelets and an elevated count of hairy cells. Physical examination: Liver or spleen enlargement can be felt by abdominal palpation. An ultrasound may be used if the enlargement of spleen and liver is missed by abdominal palpation. Bone marrow aspiration and biopsy: Bone marrow, blood, and a small piece of bone may be removed and used to look for signs of cancer. Hairy cell leukemia may not cause any symptoms in some patients. Around 10% of elderly patients show just moderate spleen enlargement and mild decrease in blood counts, and do not require therapy. Cladribine or 2-chlorodeoxyadenosine(2-CdA) is given intravenously to the patients for 7 days. Within a few weeks, the platelet count, WBC count and hemoglobin levels increase. Cladribine destroys cancer cells by breaking its DNA strands and disrupting cell metabolism. 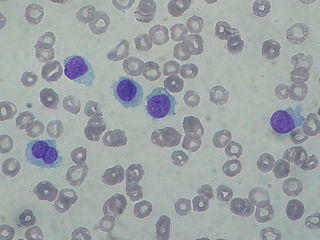 It is a very effective drugs and exhibits more than 80% complete response in hairy cell leukemia. For hairy cell leukemia patients who do not respond well to 2-CdA, 2′-deoxycoformycin (2’DCF), also called as pentostatin, may be given intravenously twice a month, for 3 to 6 months. Pentostatin, however, is less effective than cladribine and is reserved only when cladribine is not working effectively. Rituximab, an antibody, can be given to patients with relapsed or refractory hairy cell leukemia. Alpha interferon injections may also be given thrice a week for 1-1.5 years in cases of refractory or relapsed hairy cell leukemia. They have antitumor and immunomodulatory effects, which means they can help the immune system adapt to the condition. Certain growth factors (like granulocyte colony-stimulating factors or G-CSFs) may be recommended to the patients on chemotherapeutics as they help in reducing the toxicity of the drugs used for hairy cell leukemia. Surgical removal of spleen (splenectomy) improves the blood cell counts; however, splenectomy is done on patients who do not respond to chemotherapeutics or for those who suffer from severe bleeding. If done laparoscopically, splenectomy may have less post-operative risk and a faster recovery. Many patients with small or insignificant changes in blood count and less enlargement of spleen may not show any symptoms. However, in majority of patients, the low blood counts caused by hairy cell leukemia can lead to infections (due to reduced WBCs), fatigue (due to reduced RBCs), and excessive bleeding (due to reduced platelets). Introduction of newer chemotherapeutic drugs has significantly improved the survival of patients with HCL. Most patients show decent prognosis and live for ten years or more, after being diagnosed with hairy cell leukemia. Treatment may result in a long-lasting remission, giving the patients a disease-free period during which some or all of the symptoms of the leukemia are gone. However, the leukemia may return after the remission. In such cases, repeating the treatment may possibly lead to remission again.